When my sister, her husband, and their friends decided to have a Peep Diorama Party they were unsure of what the results would be. Having been employed at Chicago’s Field Museum, she has spent years around full-size dioramas. She read about Peep contests held by The Washington Post and decided to host her own. Below are the results. 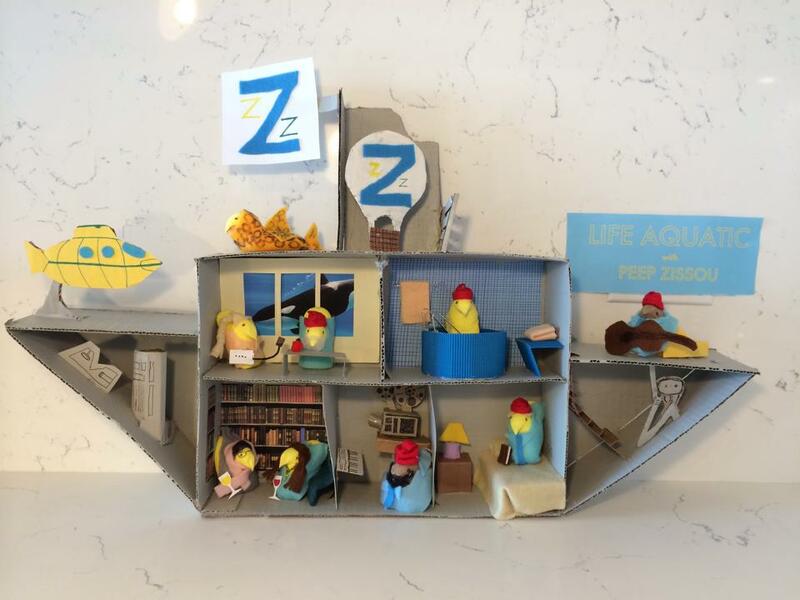 I’m exceptionally proud to announce that my sister and her husband won the contest with their Life Aquatic diorama.